The Videomaker: Video Editing: Titles & Graphics Training DVD from First Light Video is a training DVD that was developed by the professional staff of Videomaker Magazine. 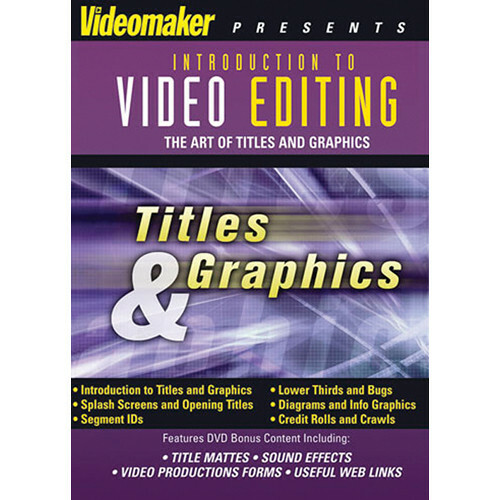 The DVD teaches you the basic aspects of creating titles and graphics for digital video. You'll learn how to create titles and graphics, segment IDs, lower thirds, diagrams, info graphs, credits, and more.